What's the bigger story? 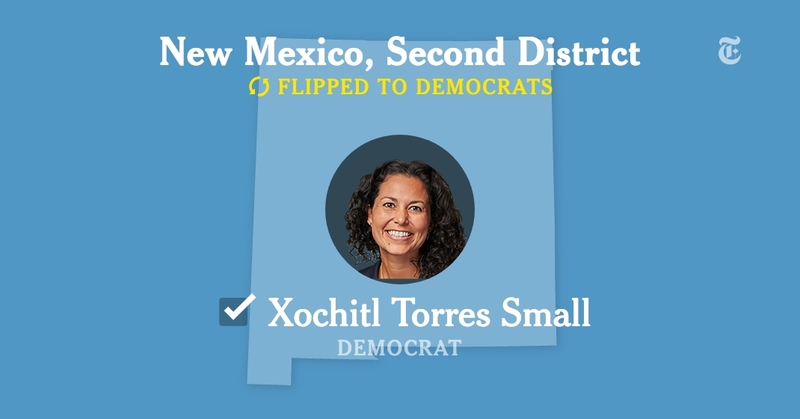 That Xochitl Torres Small ended up winning the southern congressional seat for the D's or the utter undoing of the New Mexico Republican Party? We'll take a stab at both. . .
Torres Small, left for politically dead Election Night when the race was called for Republican Yvette Herrell, was taken off life support in Dona Ana County last night as 8,000 absentee ballots were added to the final total. She blew Herrell away in those ballots in the Dem leaning county. That outcome not only eliminated a small lead Herrell had been nursing, but delivered a 50%-49 win to the 33 year old water rights attorney. Herrell refused to concede, saying there are 1,000 provisional ballots still outstanding, But she is down by 2,700 votes and most of those provisionals won't be counted. Time to make the call, Yvette. Xochitl doesn't seem the vindictive type and neither do you. Torres Small will have her challenges in the US House. She suppressed a liberal streak to appeal to the large swath of the district that is conservative. But she should do fine. The Dem leadership will give her legislation that will boost her bona fides and protect her from the progressive agenda that could expose here to a strong GOP challenge in 2020. Also, she an experienced former congressional aide and smart. Not to slight Harry Teague, the last Dem to hold the district but only for two years, but Torres Small seems like a congresswoman with staying power. Maybe Steve Pearce who will be 73 in 2020 harbors hopes of coming back in two years and running for the seat he abandoned to run an ill-fated campaign for Governor. But when you suffer a massive US Senate loss (2008) and another whipping in a race for Governor, the electorate tends to notice the tire tracks on your back. Right now there is not much power of any kind in the Republican Party. In fact, there are barely any signs of life. There is no longer any R in the state's congressional delegation or holding statewide elective office (excluding two members of the judiciary), a very rare occurrence. The Torres Small victory completes the silencing of the conservative voice in this state's government. That was witnessed in the Democratic sweep of all statewide offices and the pick up of up to 8 seats in the state House--all of them by progressive oriented candidates. Consultant Leanne Leith, a key player on Speaker Egolf's election team, says when all the recounting is done Dems should have 46 members to the R's 24. That's up from a 38 to 32 split and would be the highest Dem total this century. There will still be two functioning ideologies--liberal Democrats and more conservative Dems. That's how it was when I started here in the early 1970's. It remained that way for years for the downtrodden R's. The blame game is underway in earnest in the GOP over who and what caused this wreckage. The Gov. Martinez/Jay McCleskey faction blames current GOP chairman Ryan Cangiolosi and his mentor former GOP chair Harvey Yates for their incompetence..
Martinez and McCleskey get the blame from them for running a failed government, accompanied by vindictiveness against their own and ending it by sabotaging Herrell who was the last chance for the GOP to salvage something. Martinez never did endorse Herrell and even dissed her by saying she questioned whether she was qualified. We called the near demise of the GOP on Election Night an existential event, but it's more than calling the identity of the party into question. With the Herrell loss it's now more like an extinction level event--ELE. Attracting young and vibrant leadership to a sinking ship is just one of the problems; never mind the party's stubborn resistance to moderating itself to appeal to a wider range of voters in this now firmly majority-minority state. Women, mostly Dems, will now hold 31 of the 70 NM House seats. That's 44 percent How did that happen? Well, it's been slowly happening for a number of years. 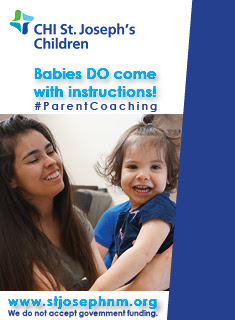 But do you think the social conditions crisis of neglected and murdered children, last or near last in the education and child well-being standings, constant violence, drug addiction and dysfunctional families may have something to do with it? Not that these are "women's issues." They are of concern to all, but it is women who are on the front lines of this crisis that has led to so much trauma. It will be women who will have to lead the turnaround. They now have the leadership to do that. Let's see what happens. Congressman Ben Ray Luján announced his bid for Assistant Democratic Leader. In a letter to his colleagues Congressman Luján outlined his vision for the next Congress. Lujan, chairman of the DCCC who was easily re-elected to his northern Dem district Tuesday night, ran the successful effort to win back control of the US House. He made his leadership announcement the day after the victory. But he has competition for the slot. Rep. Cherri Bustos of Illinois announced earlier as did Rep. David Cicilline, a progressive Dem from Rhode Island. Former Dem US Senator Jeff Bingaman will chair the transition of MLG to the governorship and her campaign Manager, Dominic Gabello will be the director, she announced Wednesday. Video here. The Bingaman appointment will be reassuring to government watchers. It also fades the heat that Lujan Grisham endured over ethics from Steve Pearce. More important to all you Alligators is the jobs. Gobs of jobs. And a website to apply for them. Happy hunting. One vote can make a big difference. Take, for example, the retention election of BernCo Metro Court Judge Linda Rodgers. She and other judges standing for retention for four year terms are required to win 57 percent approval from those voting, Well, Rodgers did that by getting 57.02 percent or just 38 votes over the required amount. Judge Michelle Castillo Dowler had a similar nail biter. She received 57.15%, just barely enough to keep her job. Judges Ed Benavidez and Kenny Montyoa weren't so lucky. Each received only 55 percent and will be booted off the bench. Democrat Stephen Fischmann is the unofficial winner in the Public Regulation Commission’s southwest District 5. With fellow Dems Cynthia Hall and Valerie Espinoza, Fischmann gives the five member PRC a much more progressive bent, perhaps giving utilities the group regulates some headaches while pursuing more renewable energy for the state. The healthy margin of victory for Torres Small was especially important as the R's were gearing up to come down on the Dona Ana County Clerk for incompetence and maybe worse. The office is recovering from this year's scandal in which the former clerk was having an affair with another employee and misspending money. The new clerk was only recently appointed by the county commission. That new clerk mishandled the absentee count by not hiring enough workers to count and failing to make clear to the state on Election Night the number of absentees that remained to be counted. Then she sent the workers home to get rest and had them come back in the morning. That sounds familiar to those of us who dealt with the very same issues years ago in Bernalillo County. Apparently the Secretary of State is not the final arbiter of when a county clerk should stop the count. That needs to be looked at because perception of election integrity is as important as its implementation. And why were only a handful of volunteers counting thousands of absentee ballots? That's another issue Secretary of State Toulouse Oliver could look at to improve state elections. 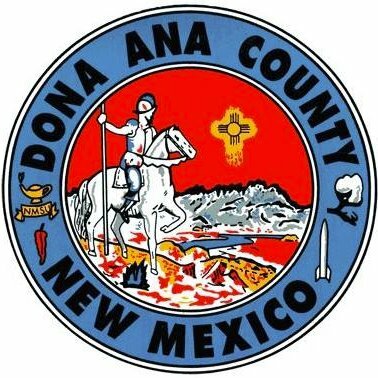 The state has gone through repeated counting disasters, including the scandalous one in Dona Ana County in 2000. We dodged a bullet this year in bringing back the bad old days but why continue to leave it to chance? But does he make a good baloney sandwich? BernCo Tsunami Felt Statewide As Dems Sweep; Herrell Lone Bright Spot For R's (Maybe! 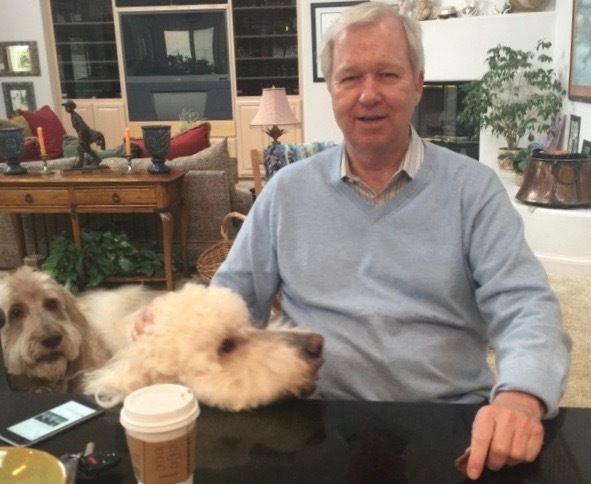 ); Dem State House Pick Ups Could Reach 7; GOP Icons Fall; Anti-Trump Sentiment Sends Turnout Soaring; Possible MLG Staff Chief Floats; Udall Announces 2020 Re-elect; Ben Ray To Leadership? A blue tsunami washed over Bernalillo County Tuesday night, flattening the Republican Party and making possible a Democratic sweep of every major statewide office. 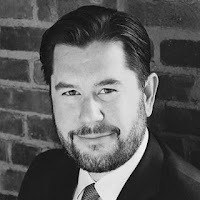 The damage was so thorough that it appeared Bernalillo County might have only one Republican state representative in Santa Fe at the next legislative session in January. Swept away was Republican gubernatorial nominee Steve Pearce who lost BernCo 62 to 38 to Michelle Lujan Grisham and lost the state 57-43. The two opponents of Senator Martin Heinrich never showed. He won a second term with 53 percent. Dem Deb Haaland managed 59 percent in a three way race to take the ABQ congressional seat. All statewide results here. BernCo results here. GOP state land commissioner candidate Pat Lyons was defeated by Dem Stephanie Garcia Richard 50 to 44 with 6 for a Libertarian candidate. She beat him in BernCo by over 35,000. It was the first ever defeat for Lyons, yet another sign of the Dem wave. Republican foes of Attorney General Hector Balderas, State Auditor candidate Brian Colon and State Treasurer Tim Eichenberg were all overwhelmed as were the GOP opponents of four Democratic women seeking seats on the NM Court of Appeals. The ten member court will now have its most women members in history. The only bright light for the GOP was an apparent close win--50-49 (as of 2 A.M. today) by southern GOP congressional candidate Yvette Herrell who closed out Democrat Xochitl Torres Small to emerge in a race that drew national interest and money. 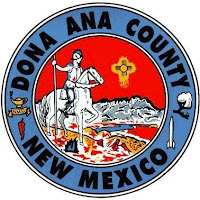 Dona Aña County had about 4,000 absentee ballots still to be counted. The absentee precinct board was to reconvene at 10 a.m. to continue the tabulation. In addition, there are another 4,000 votes that haven’t been added to the published results yet, for a total of 8,000 votes outstanding, officials said. We must simply find a way to figure out Bernalillo County. The D landslide in BernCo was matched by ones in blue Santa and Taos counties. 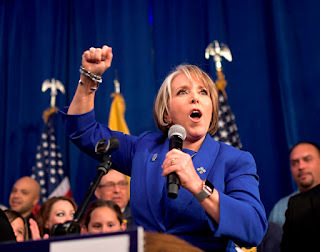 In Taos Lujan Grisham received a stunning 81 percent of the vote; in Santa Fe it was 79%. It was this county troika that was deadly to the R's and threatens to undermine them for years to come. The three counties are hardening into Democratic citadels akin to what we have seen in California and Oregon. And Dona Ana is not far behind. Turnout soared, especially in BernCo where 57 percent of the registered voters came out--over 240,000. That is a shout away from what you get in presidential election years. The anti-Trump vote was galvanized, noted NM House Speaker Brian Egolf, as he surveyed the GOP carnage from his war room at the Hotel ABQ. Several House seats appeared headed to recounts but the existential threat the R's face in ABQ (and thus NM) was nowhere more evident than in the ABQ NE Heights seat of the late Republican Larry Larranaga. 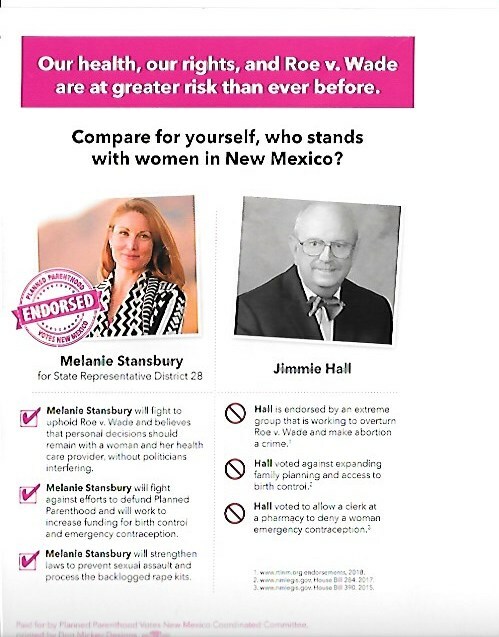 An 82 year old physician, Bill Pratt, was given little chance of winning but is now on his way to the Roundhouse, an affirmation that the blue creep in big BernCo is now overtaking territory once considered unassailable by Democratic assaults. ABQ GOP State Rep. Monica Youngblood thought she had a chance. She sent out a letter to her constituents apologizing for her aggravated DWI conviction. But the tsunami showed no mercy and she was drowned in a landslide by Dem foe Karen Bash, a 72 year old retired minister. Cries for help were heard in other once conservative bastions but they went unheeded. Rep. James Dines fell along with longtime GOP icons Brad Winter and Jimmie Hall. All were defeated by women who may now hold 31 of the 70 state House seats, a watershed moment in state politics. And the first Muslim ever elected to the state House engineer Abbas Akhil, who unexpectedly defeated Dines, will sit with them. When all is said and done and in some cases recounted , the state House goes from a 38 to 32 majority to 45-25. That matches the high the Dems have had this century. And it may not get better for a long, long time. The new Democratic Governor will be in her chair when legislative redistricting takes place in 2021. The Governor-elect's first order of business was to chastise her staff on statewide TV for not having her acceptance speech placed in the teleprompter. She yelled out for assistance but none was forthcoming so she told the crowd she would "speak from her heart." She could have read from the telephone book and pleased the crowd, so delirious they were over her smashing victory. She leaned on familiar themes--universal pre-K, renewable energy and teacher pay--to fill the time. The undelivered speech released to the media was actually quite similar to her ad libbed remarks. No news was made. But the Alligators have news. They always do. So hold on. A Senior Alligator reports to us the mystery over who will hold the powerful post of chief of staff to soon-to-be Governor Michelle Lujan Grisham may have an answer. That answer could be Lawrence Rael, a bureaucrat's bureaucrat who has served as Chief Administrative Officer to several ABQ mayors and who is currently Chief Operating Officer for ABQ Mayor Mayor Tim Keller. Rael is a native New Mexican who ran for the Dem Guv primary in 2014. The chief of staff position would put him directly in the orbit of the office that he has long thirsted for. He also has the administrative experience to run the day to day affairs of state government, a skill set not readily available on the Democratic bench. Insiders say the transition of the new administration is still being fleshed out. The Governor-elect could begin by nominating cabinet appointees who could then lead the transition for their departments, but that's just one scenario. A transition announcement is set for 2 p.m. today. Pearce, 71, said in defeat that he is not ready for retirement. Well, he can always watch over his business interests, but as an elected official he is done. However, he will have a say on the future of the GOP because of Herrell's election to the congressional sea.t Both are foes of the Gov. 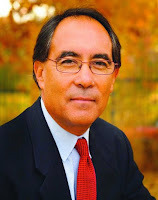 Martinez/Jay McCleskey wing of the party and will try to rebuild it in their image--not theirs. It's a good thing for the district that I like to talk. Because I am going to be talking about New Mexico shared values for the next two years. "Shared values" seemed to be a call for unity by the pro-Trump Herrell. Will she moderate a tad in an attempt to lead the state GOP and in preparation for 2020? After all Xochitl appears ready to try again. 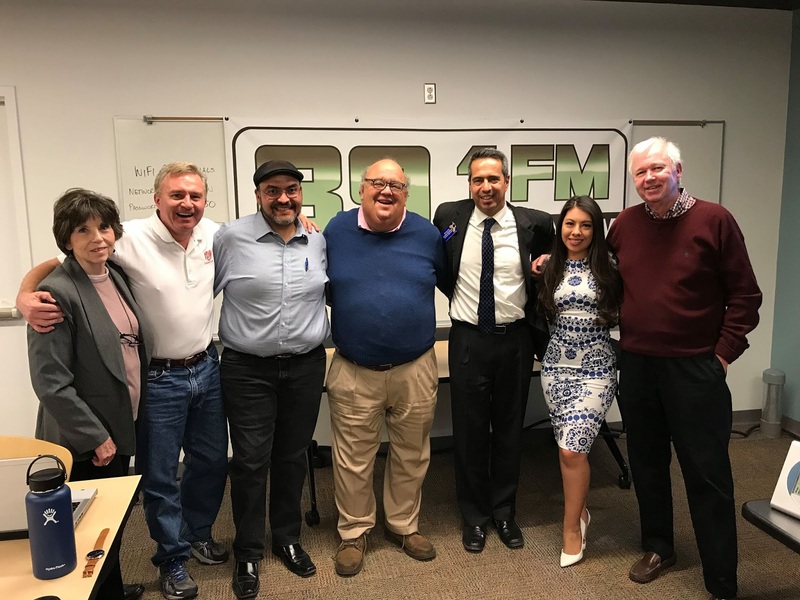 The Democrats reclaimed the US House Election Night and that means the star of NM Dem US Rep Ben Ray Lujan, chair of the Dem Congressional Campaign Committee, is shining brightly. Is a House leadership position in his future? Could be. Sources on the Hill say that the job of Assistant Democratic Leader could be vacated by Rep. Jim Clyburn. Rep. Lujan sent out a letter Monday afternoon confirming that he is seeking the position of Assistant Dem Leader. Udall stamped out the "not running" in 2020 rumors once and for all in an interview with me on KANW. He referenced our Monday blog in which we quoted insiders who said he was ready to run after months of rumors that he would not. Udall, 70, said those insiders have it right. He is off and running. The Dems lost power in the US Senate last night, but NM turned even deeper blue, making another Udall run an easier task. Truly a mixed night for him. Thanks to the radio team for the great work Election Night. It was as good as it gets. Reporting from Albuquerque, I'm Joe Monahan. Our Election Night coverage on KANW 89.1 FM ABQ/Santa Fe and on kanw.com begins at 6:30 p.m. Catch the stream here. ELECTION DAY UPDATE: Color it blue but not a blue wave. Dems voting 51% to 34% over R's so far with 527,000 total votes cast as of 1:30 PM, says SOS. Quality polling models assumed that. Means we should still have close races in southern congress contest and land commissioner contest. And what kind of turnout among independents will we see in the end? 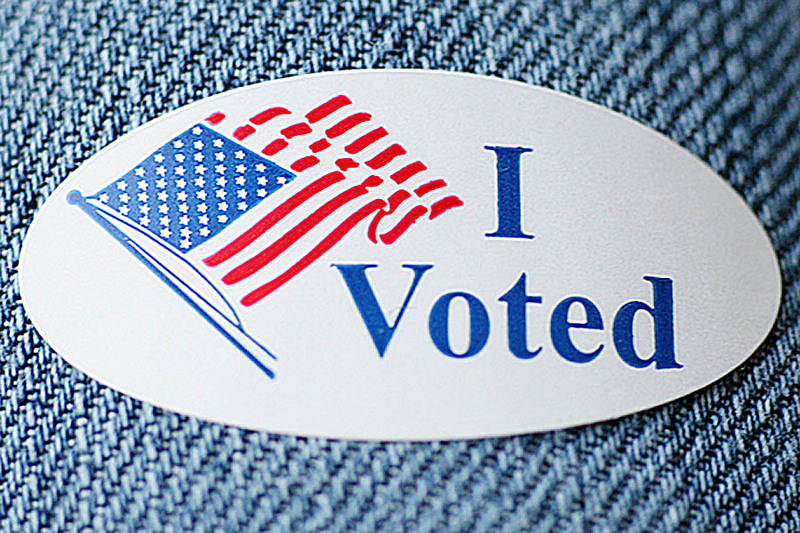 And did they go blue?Total turnout should surpass 608,000 cast in 2010 midterm. Headed toward 625 area? That's higher but not overwhelmingly so. Election Night coverage at 6:30 on KANW-FM 89.1 and kanw.com. Turnout. Turnout. Turnout. That's the word being repeated over and over today like a Buddhist mantra by nervous political operatives. Only unlike the religious practitioners they are finding little peace of mind. Instead the word evokes both fear and hope in La Politica on this Election Day '18. Usually there is a pretty good idea about how many voters will cast ballots--critical to forecasting the fortunes of the hottest political races and planning campaign strategy. Not today. Not in the age of Trump. That odd happenstance has grizzled veterans of campaigns past commiserating with fresh-faced political newbies. Everyone is equalized when uncertainty prevails. Turnout for a midterm election such as this should be in the vicinity of 625,000 to perhaps 650,000 on the high side. But the massive early voting--430,000--has left everyone wondering how many New Mexicans will show up today. A turnout of 200,000 and the polling and turnout models are fine. You start heading toward a total turnout of over 670,000 and the polls and playbooks will look as useful as yesterday's newspaper. ABQ Dem State Rep. Moe Maestas says if turnout blows the doors off and goes over 700,000--and he doesn't expect that--you could have a towering blue wave washing over this enchanted land, pushing both strong and weak Dems into office. GOP Chairman Ryan Cangiolosi says he isn't freaking out about turnout, declaring that the GOP will turn out voters today and keep pace with the Dems even if turnout rockets. He says there is "enthusiasm on both sides." If forced to make a guess at the risk of being denied their green chile for a year, most of the political pros will say we will not see an extraordinary number tonight. But who really knows? Nobody. 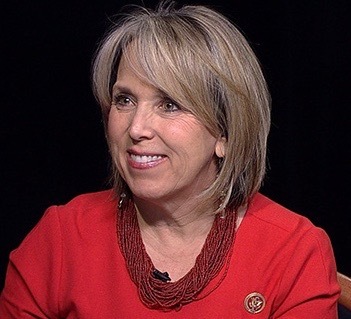 Dem Guv hopeful Michelle Lujan Grisham will make campaign stops around ABQ for most of the day today, including at the Barelas Coffee House. D ABQ congressional contender Deb Haaland will accompany her. 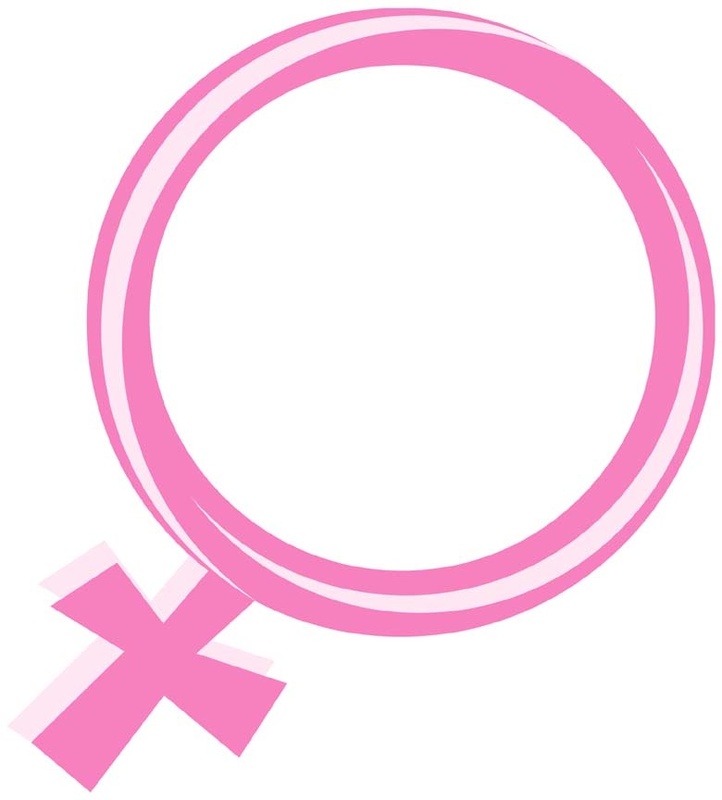 Both candidates have established big polling leads with women voters. Republican Steve Pearce is also in ABQ today. He will be making radio appearances in the morning and be shaking hands at the Daskalos polling station on Menaul at noon. --Former ABQ GOP State Senator Diane Snyder says it's no problem for GOP State Rep. Jimmie Hall. She says his "solid reputation" will thwart a big money attempt by the Dems and candidate Melanie Stansbury to take him out this year in the far ABQ NE Heights district. Rep. Maestas predicts Stansbury will prevail because of her superior ground game that includes dozens of volunteers. 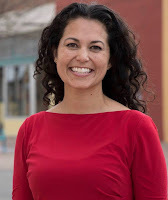 --Firefighters union leader Diego Arnecon, an ardent Lujan Gisham backer, comes with the highest margin for a win by her that we've seen--57-43--over Republican Steve Pearce. He also says his turnout prediction of over 675,000 will have to come through for her to reach that percentage. The GOP's Cangiolosi is downplaying the polls and predicts a much closer race. --ABQ attorney and longtime politico Greg Payne is now a Dem but he predicts the southern congressional race will be a surprise when the race isn't especially close, predicting that R Yvette Herrell will beat Dem Xochitl Torres Small 52-48. R Snyder isn't so sure. She says the race may not be settled until all votes are counted and she's not certain who will win that down-to-the-wire battle. Although the degree of blood relation is minimal Ms. Herrell was certified by the Eastern Oklahoma Regional office as being a member of the Cherokee Nation. While she has not ran on this platform she is proud to be enrolled as a member of the Cherokee nation. Herrell will be in Alamogordo tonight at the Elks Club to watch the returns come in with fellow Otero County R's. Xochitl Torres Small will gather with Dems at the Las Cruces Convention Center. Dem State Auditor candidate Brian Colón is taking a pass when it comes to the Democratic celebration tonight at the ABQ Hotel where Michelle Lujan Grisham and other candidates will party. Colón is having a chicharrones party at his ABQ home. Will he save some for Michelle? Steve Pearce and the Republicans will have their party tonight at the ABQ Crowne Plaza hotel. The on again off again speculation about whether Dem US Senator Tom Udall will seek re-election in 2020 is on again now that this election is ready be put to bed and the political class boots up for the next one. Udall, according to those who claim to know, is no longer weighing the matter and is back on the running again bandwagon. That might make the heart of Attorney General Hector Balderas sink as he’s seen as a possible leading Dem Senate nominee should Udall decide to forego a run. Udall will be 72 in 2020, not old at all by Senate standards. Just think, if he runs and wins in 2020 he will probably earn the coveted nickname of "Senator Pine Box," meaning the only way he leaves the Senate is in a pine box. Results from the record-setting early vote are going to hit early, shortly after 7 p.m. Don't miss it! We look forward to having you with us tonight on KANW 89.1 FM and kanw.com for our 30th year of Election Night coverage. We had a great panel for our Election Eve Special and they'll all be back tonight at 6:30 for the big night. We'll also welcome back Catherine Trujillo, a business consultant and VP of the Taylor Ranch Neighborhood Association as well as Republican Barry Bitzer who has been around state politics for decades. This is going to be a night of many close races when expert guidance will be essential and we'll have it for you on your radio dial and Internet stream. See you tonight and back here Wednesday with all the results and, of course, the inevitable surprises. And here we are. Finally. A too long and way too expensive Campaign '18 is about to be put to bed by the voters and make its way into the history books. We'll have our final take on it today on our Election Eve Special at 5 p.m. on KANW 89.1 FM and kanw.com. More on that below, but now it's time to head out to the trail one last time before polls open tomorrow for Election Day voting. By golly, Mr. and Mrs New Mexico, you sure like to vote early these days. The final early turnout hit a whopping 430,796, reports the SOS. And we still have the actual Election Day to go. So does this mean we are going to have some crazy high turnout number when all is said and done? Maybe not, but it could be higher than most expected. If 65 percent of the voters have voted early--as occurred in the 2016 presidential election--total turnout would be around 660,000. That fits with the forecasts. However, if we get a voter surge tomorrow and that early vote is a much lower percentage of the total vote, turnout will be extra high and could be a boost for the Democratic candidates. Early voting continues to grow in popularity each cycle. In the 2014 midterm 52 percent voted early. We will land higher tomorrow but noone is certain how much. Democrats came out of the early voting gate with tremendous enthusiasm and large numbers. As the days and weeks passed, Republicans’ rate of early voting caught up to the Democrats. In the end, 38.6% of Democrats voted early and 38.3% registered Republicans voted early. But, since there are a lot more registered Democrats than registered Republicans in the state, we ended up with a lot more Democrats voting early than Republicans. In 2014, 48.5% of the early voters were Democrats compared to 40.1% who were Republican. In 2018, it was 51.8% to 34.0%, which is a big difference and is significant since so many people voted early. 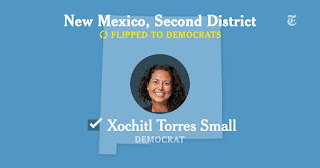 XOCHITL TORRES SMALL--If she wins the southern congressional race tomorrow she's here to stay and if she loses she's still here to stay, report our Dem insiders. The investment in her is a four year plan. If she can't take the prize tomorrow night, she will immediately begin campaigning for the seat in the presidential election year of 2020. That was the idea behind the Rocky Lara candidacy in 2012 but she suffered a landslide defeat at the hands of Rep. Pearce--64-36--and her political career was over. If Torres Small should falter in the final stretch it appears it won't be my much. That makes another try in two years more of sure thing. It could be easier, too. A presidential election year has higher turnout. YVETTE HERRELL--There's much more riding on this election for Herrell than for Torres Small. Lose and she's done politically but more important, a Herrell loss would be devastating to the New Mexico Republican Party. It would mean an all Democratic congressional delegation (assuming Dem victories in the ABQ and northern districts) and no apparent leader to begin rebuilding the state GOP. Dona Ana County and its increasing Democratic hue is the big story for this congressional district. It could begin to dominate the voting in the years ahead and dilute the conservative Eastside. That's similar to what has happened with Bernalillo County on the state level. BernCo votes so blue that it overwhelms many of the votes in rural New Mexico. The state's cities are hardening for the Democrats--Las Cruces, ABQ and Santa Fe. The GOP must learn to somehow pick that lock or they could be in for a long spell of hibernation similar to what they endured in the 60's and 70's. 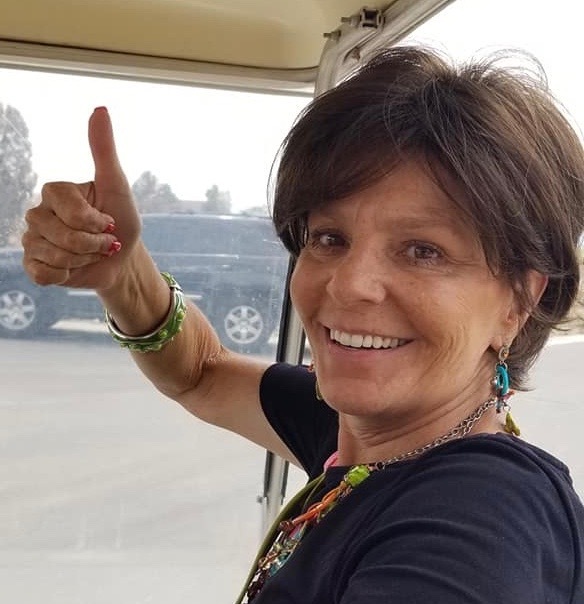 Deb Haaland makes the claim that she would be the first Native American woman elected to the US House, but what about Yvette Herrell? It turns out she's an enrolled member of the Cherokee Nation based in Oklahoma. The late news about her lineage just trickled out because Herrell hasn't made a fuss about it nor has she outlined her family tree to show her heritage. Then there is Sharice Davids, a native American woman who is running for the US House in Kansas. What if all three get elected tomorrow? Who gets the bragging rights as the first? Guess they can draw straws. MICHELLE LUJAN GRISHAM--Is it all over but the counting in the gubernatorial race? Lujan Grisham sports a ten point lead in the Journal poll (53-43) over Republican Steve Pearce. She had a 5 point lead in the Oct. 29 Carroll Strategies survey. That's an average lead of 7.5. Given the backdrop of the state MLG might be yearning for a landslide but that does not appear in the making. A big win, however, does seem only hours away. The MLG camp has quietly started the transition process. One possible problem? Finding high quality cabinet secretaries. The Dem bench is not jammed with talent. That's something ABQ Mayor Keller found out when he took office and ended up hiring many old hands from years past. STEVE PEARCE--His deep conservative stripes are not something you can wash away like a temporary tattoo. They are part of his skin. That is why Pearce appears to be in for an Election Night let down. He tried to be moderate but voters--especially Democrats--did not buy what was an excellent marketing pitch. The Pearce brand was built up over decades. That's hard to change in a couple of months. The Journal poll reveals that Lujan Grisham has the support of 19% of self-reported conservatives, whereas Steve Pearce has the support of only 6% of the liberals. If Herrell wins Pearce's wing of the party will be around to play. If not, it will be anyone's game. Pearce has one public event on his schedule today. It's at 12:00 PM--a final Albuquerque GOTV event at his campaign headquarters at 4700 Montgomery NE. MLG also has one public appearance scheduled. At 6 p.m. she rallies in ABQ with Senator Heinrich and most of the Dem ticket at the Alamosa Community Center at 6900 Gonzales Road SW. The final rally geography is fitting. Pearce needs a strong showing with Republicans in the far NE Heights. MLG wants more Hispanic Valley Dems to show up at the polls. We didn't carry the final US Senate poll from the Journal on our special Sunday blog. How could we forget? Well, pretty easily. This has been a snoozer. The news--if you an call that--is that Republican Mick Rich is very likely going to finish in second place, sparing the GOP a major embarrassment. Former Gov. Gary Johnson, the Libertarian nominee, is polling third. The poll results are Sen. Martin Heinrich 51, Rich 31 and Johnson 12. The race for state land commissioner is one of the more intriguing contests. Dem Stephanie Garcia Richard would be the first woman to hold the office in history and if Republican Pat Lyons were to win it would be for the third time after serving two terms earlier this century. It will be close, but remember how women came to her side in the June primary when she upset the field. I see that happening again. Expect this one to be a nail biter. You'll hear all the action tomorrow night on KANW when we call that race and all the others. MONICA YOUNGBLOOD---The race appears surprisingly tight, according to both D and R sources. The ABQ NW GOP state legislator had a nightmarish DWI arrest in May and even served a day or so in jail. Her political career is teetering but some of the Dems think the attacks on the issue may have been too cute, leaving the door open for her against Dem challenger Karen Bash. Another fun one to watch tomorrow. If Youngblood hangs on it would be a blow to the Dems who are working to expand their 38 to 32 majority in the lower chamber. Analysts are getting more conservative as Election Day looms. Some of them now see Republican Brad Winter hanging on in his bid to replace fellow R Sarah Maestas Barnes in an ABQ NE Heights seat. He has decades of name ID and the hits on him from the Dem Day Hochman-Vigil camp don't seem to have been particularly special. Also, Republican Rep. Jimmie Hall is seen as still having at least a fighting chance despite a deluge of Dem money and mail that hit his far NE Heights district. (An example is posted. Click to enlarge). 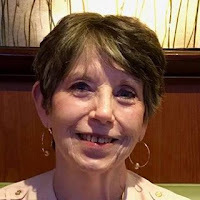 The issue is will older Democrats crossover to keep him because they are unsure of newcomer Melanie Stansbury, a high quality candidate but who does not have as deep of ties to the district as Hall. If Hall manages to pull it out, R insiders expect it will be his last term and that he will not seek re-election to the rapidly changing district in 2020. Anyway, that's what we hear on these very difficult to call House races. For sure there will be surprises tomorrow might. Join us for our traditional Election Eve Special today at 5 p.m. on KANW 89.1 FM in ABQ/Santa Fe and at kanw.com. This marks our 30th year of bringing you election coverage on public radio and there will be pretty of thrills and spills again this year. My guest experts for the rundown of the campaigns and some fun predictions today are: former ABQ GOP State Senator Diane Snyder, ABQ attorney and longtime consultant Greg Payne; Dem consultant Sisto Abeyta; ABQ Dem State Rep. Moe Maestas and a real, live journalist, Dan Boyd, capitol bureau chief of the ABQ Journal. He'll keep that bunch honest. We'll finish our Election Eve broadcast tonight and get ready for Election Night coverage tomorrow night starting at 6:30. We'll stay on the air for as long as the major races are undecided and if election officials are still counting votes. 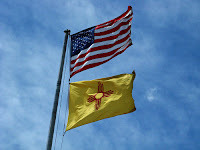 On Wednesday we'll have a complete wrap of the results along with expert analysis right here at NM Politics with Joe Monahan. On Thursday we'll do an election post-mortem for the ABQ area League of Women Voters at their luncheon at the Embassy Suites Hotel. On Sunday Nov. 11 at 11 a.m. we'll be back at it, running down results and fielding questions before Journey Santa Fe at Collective Works Bookstore and Coffeehouse. A tip of the hat to the media outlets that had us dissecting the political scene this campaign season. They include the New York Times; Energy News Today; Baffler.com; KUNM-FM in ABQ; KSFR-FM and KVSF-FM Santa Fe; ABQ's KKOB 770 AM and KIVA-AM-FM and KWES-FM in Ruidoso. Now it's on to the Grand Finale. It will be that southern congressional race that will provide the excitement Election Night not the race for Governor, if the final ABQ Journal survey is in the ballpark. The poll released Sunday reinforces what you've known for weeks. The race between Republican Yvette Herrell and Xochitl Torres Small is tight--now 46-45--with Herrell leading in the Journal survey. And the race for Governor presents special challenges to Republican Steve Pearce who trails Dem Michelle Lujan Grisham 53-43. The good news for Herrell is that Torres Small has been behind in both the Journal survey and the Carroll Strategies poll that showed Herrell ahead by five points. The bad news is that she has not been able to close the deal in the conservative southern district as the Dems pump millions in there. Herrell's leads big on the conservative Eastside of the sprawling district and Torres Small has a large lead in the more moderate Las Cruces area. There is a bit of a caveat. Pollster Brian Sanderoff changed his methodology in his final poll. In his first survey he measured the support of only "proven, likely voters" from 2014 and 2016. In this survey he has included newly registered respondents who did not vote in 2014 and 2016 but described themselves as "very likely" to vote in the election. That stands to improve the standing of Torres Small as well as MLG. Will they end up voting is the question. Still the GOP faces national headwinds. And Torres Small is positioned to take advantage if they continue to blow through Election Day. Her problem is that turn out in the Las Cruces area appears to be faltering after an initial burst. The southern congressional race is rated Lean Republican. The ten point lead by MLG over Pearce is substantial. She gets 55 percent in the ABQ metro and carries women with 59 percent. We don't expect her to prevail by quite that 10 point margin on Election Night and see the late breaking vote being dominated by the R's and going to Pearce. And while the Carroll survey was overweighted towards the R's this one may be a bit overweighted toward the Dems. But that's inside baseball. Both surveys have MLG ahead--one by five the other by ten. She couldn't be happier and Pearce could not be more disappointed. The race for governor rating changes. It goes from lean Democrat to Likely Democrat. 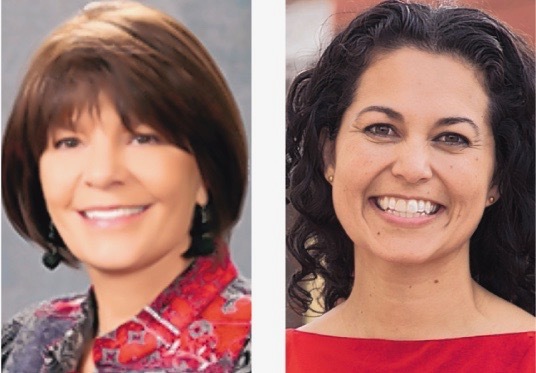 In the ABQ congressional race Dem Deb Haaland garners 50 percent in the survey to 38 percent for Republican Janice Arnold-Jones and 5 percent for Libertarian Lloyd Princeton. The district long ago went blue so the numbers are in line with expectations. Sen. Heinrich and MLG continue their final days tour of the state today, along with others on the Dem ticket. They will start the day in Gallup and then head to stops in Farmington, Taos, Española and Los Alamos. They will end the day with a 6 p.m rally in Las Vegas. Steve Pearce continues his Jobs Tour in the ABQ metro today. He'll be inCedar Crest at 2 p.m., head to Moriarty for a meet and greet at 3:30 and finish up 5:30 with another meet and greet in Rio Rancho.